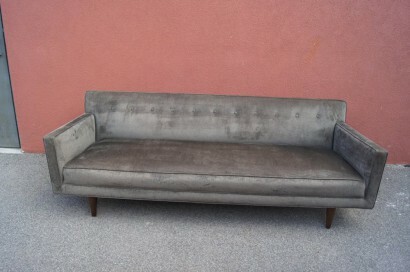 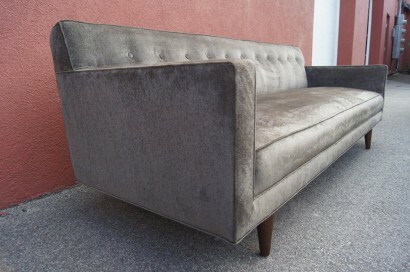 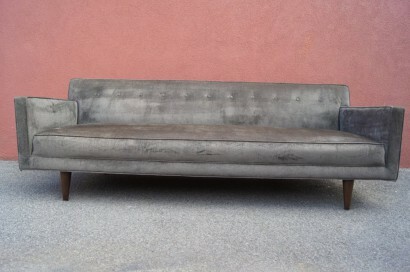 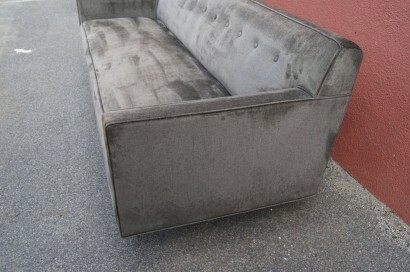 This elegant sofa is a 1950s design by Edward Wormley for Dunbar. 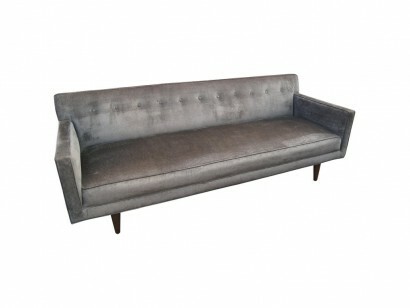 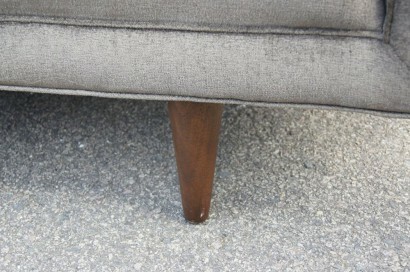 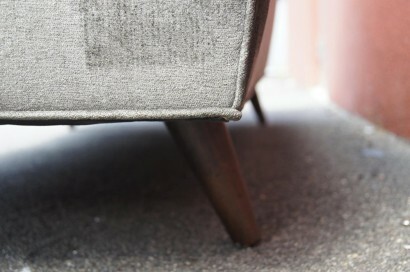 It features a tufted back and a long bench seat resting on tapered walnut feet. 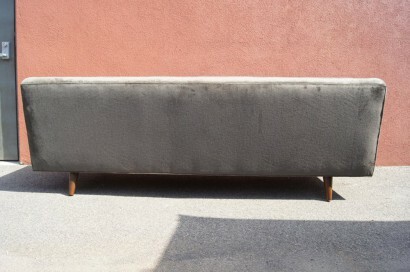 The sofa is upholstered in Knoll’s soft Haze textile in Mushroom.